Takeaway: Taking a closer look at your employees' workstations can completely transform their productivity, efficiency and overall health. According to the U.S. Department of Labour, musculoskeletal disorders accounted for 32 percent of days-away-from-work cases in 2017. They are also the leading cause of lost productivity worldwide, according to the World Health Organization. 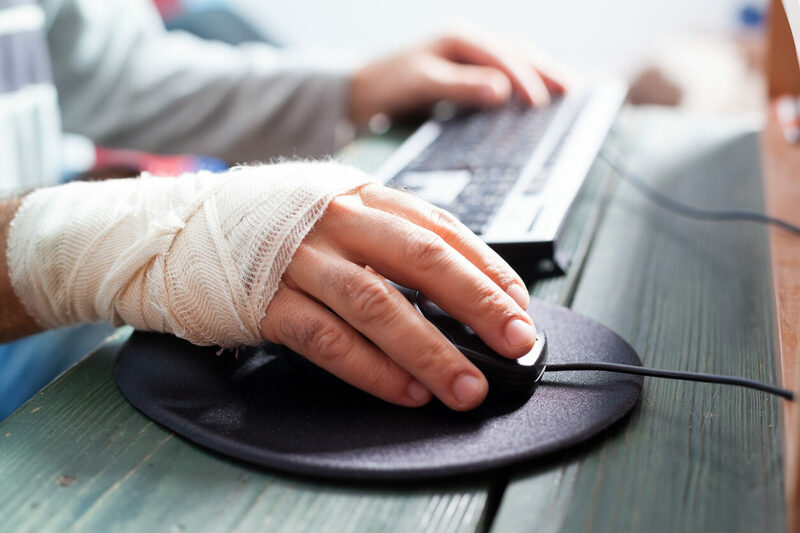 Workstation analysis can help prevent these costly injuries by ensuring your workers are able to do their work safely and can also help increase worker productivity by ensuring workstations allow your workers to do their jobs comfortably and efficiently. (Learn more in 5 Tips for Creating Ergonomic Workstations for Employees). Workstation analysis can be conducted in any area in which an employee works. This could mean a computer workstation in an office or an assembly workstation in a manufacturing plant. It can be performed by an internal team or an individual trained in the ergonomics of workstations or by a firm contracted to conduct the analysis. The analysis itself generally involves questionnaires or interviews with workers, observation, videotaping and in some cases, the use of biofeedback machines which measure the amount of muscle tension generated as a worker performs various tasks at a workstation. Whether you’re looking to create efficiencies in your workplace, respond to or to prevent a pattern of avoidable injuries, workstation analysis is something to consider. It isn’t just for workstations that focus on repetitive tasks such as those associated with office work. Long cycle tasks, involving a work cycle that repeats over a longer time frame of hours or perhaps even days, can also put your workers at risk or slow operations. This is often the work carried out by industrial process and machine operators. The same is true for work involving varied tasks such as those performed by mechanics. How Can It Benefit Your Workplace? In addition to increased productivity and improved efficiency, improvements stemming from workplace analysis can also help your workplace in other ways, including a reduction in worker fatigue and the injuries and errors caused by that fatigue. The changes resulting from a workstation analysis can also lead to a workforce that is more comfortable and less prone to chronic health issues and a corresponding reduction in absenteeism. It can also help with mental health. The musculoskeletal disorders that are the result of poorly designed or functioning workspaces have been linked to depression according to the World Health Organization. The recommendations made by a workstation analysis can include changes to almost any aspect of the workstation, from the height of machinery to the location of monitors to the substitution of more advanced tools. The results of one workstation analysis at an assembly plant led to the addition of pneumatic torque wrenches with spring balancers and a subsequent improvement in worker postures and increased production rates. Specifically, these changes translated into a reduction in both reported musculoskeletal disorders and fatigue and a reduction in processing time at this particular workstation from 100 secs to 65 secs. In another study, this time at a motorcycle assembly plant, a workstation analysis revealed that certain workstations required workers to maintain awkward poses, bending their neck and body and twisting their spines. The analysis recommended changes to the workstation that included the addition of an adjustable worktable and footrest as well as the introduction of training and manuals to ensure safe lifting and assembly procedures. Again, these changes resulted in both fewer injuries and increased productivity. Workstation analysis also involves looking specifically at how the individual worker interacts with the workstation. No two workers are the same physically and these differences can have a direct impact on the specific risk factors associated with a workstation. It’s critical that a workstation analysis not be done to “fit” a workstation to the average employee. It has to be done in conjunction with observations of how each individual worker interacts with the workstation. This is either accomplished through direct observation of the employee or through interviews or questionnaire answers provided by the employee.